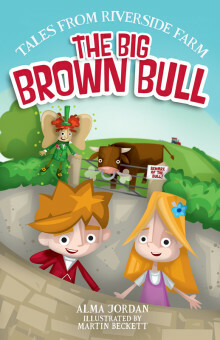 A big brown bull has come to live on Riverside Farm. He’s a very cross bull indeed, and Tom and Sarah must never go into his field. Sarah is very cross too. She hates new glasses, and Mammy says she must wear them all the time. Sarah decides to keep her new glasses in her pocket, and soon she’s in very big trouble. Can Mr Brambles save the day before it’s too late?